In Metric Insights, Groups allow an organization to assign certain Privileges and Permissions to a Group and then assign a cohort of Users to the Group. For example, all Financial Analysts might be assigned to a Group that has the ability to access all Financial information across all Divisions and create objects using certain Data Sources and Data Collection Triggers. When Metric Insights is first installed, the “Default” Group is created during the initial configuration process. 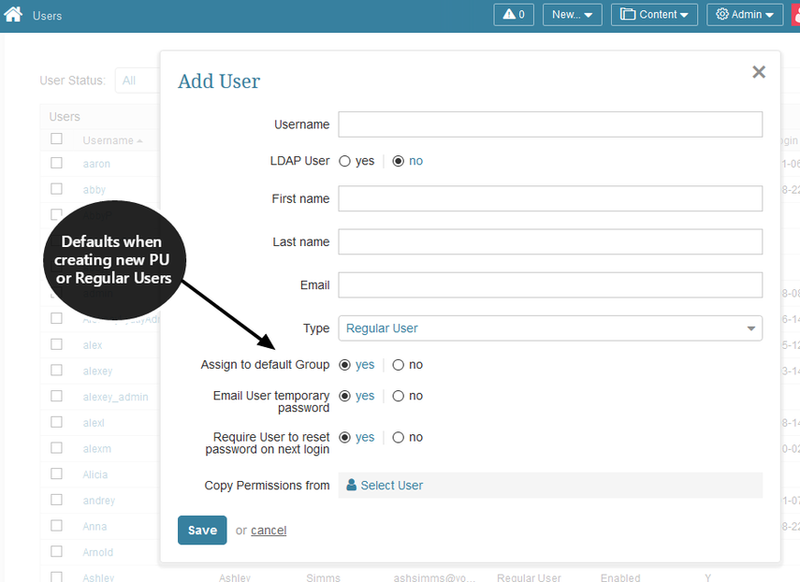 Privileges and Permissions are selected as those that the organization want most every user to have. All of the Personal Settings grouping except "Create Folders"
All other Privileges and Permissions must be granted manually during configuration. 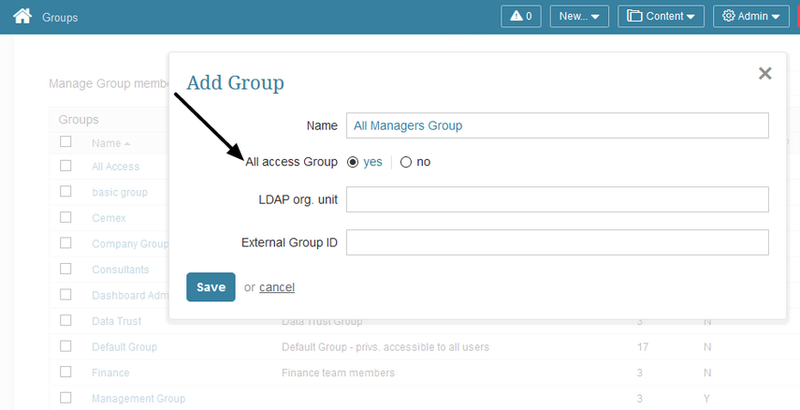 An "All Access" group allows its members to inherit View Access to all available elements, Dimensions, Dimension Values, and Categories. Prior to Release 5.3, View Access to all Datasets was included but has been removed in 5.3. Although all members of this Group receive universal View Access to Elements, Categories and Dimensions, NONE of these are displayed on the corresponding tabs in the grids on either User or Group Editors. Edit Access must be explicitly granted to an object and, once granted, the selected objects will appear on their respective tabs in related Grids. If an All Access group is changed to a Regular Group, none of its Privileges are removed from the Group or its members. All of its automatic Permissions are removed but any manually added Permissions are retained.